A psd. 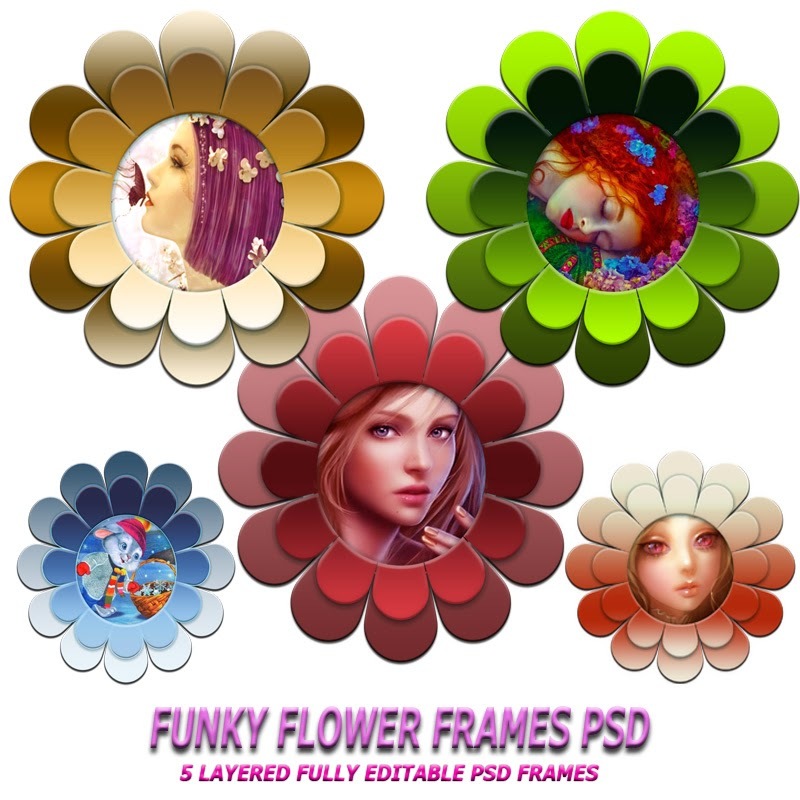 set containing 5 funky colorful flower frames..Can be used for scrapbooking, sending as greetings cards, decorative publications and many more..Created with Adobe Photoshop CS2.. Example Images in the frames are from DeskTop Nexus Wallpaper collections..All the images from this site can be used for free of cost..
What a darling idea! I tried to make a flower frame once just by using a flower in a kit. These are great. Thanks.